(Ottawa, Ont.) Wheelchair Basketball Canada has partnered with its provincial sports organizations (PSOs) to host U19 high performance camps across Canada. 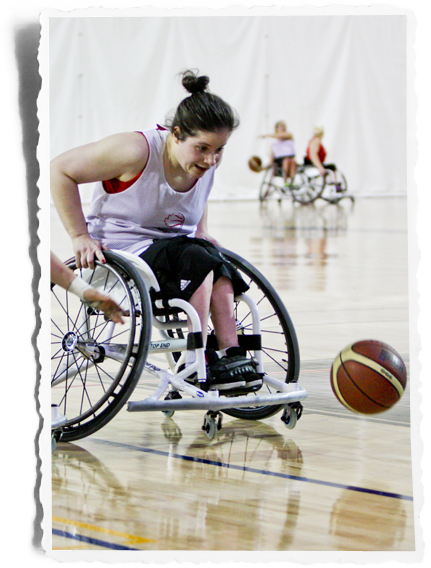 The first camp will be hosted by the BC Wheelchair Basketball Society in Langley, B.C., from February 5-8, 2016. The camp features on-court training, strength and conditioning testing, and information sessions designed to help developing athletes improve on technical skills. The talent identification camps were previously hosted exclusively at the National Academy in Toronto, Ont. Expanding the reach of the camps to additional provinces will increase player participation and provide an opportunity to improve the consistency and quality of instruction amongst coaches in Canada. The U19 camps are open to male and female athletes 12-18 years old who demonstrate the potential to join the National Academy in the years to come. They are designed for athletes in the Learn to Train and Train to Train (phase 1) stages of the wheelchair basketball Long-Term Athlete Development (LTAD) model. Athletes attending the camp will have the opportunity to train and receive instruction from National Academy staff, such as Frogley, the Academy Director, as well as national athletes. Bo Hedges, Team Canada player and co-captain will be instructing off court sessions at the camp in Langley, B.C. “I am always excited for an opportunity to help out and give back to the sport. Going out to B.C. to see familiar faces and see how all the young talented kids are doing is great. It’s a lot of fun to see them develop over the years and have an opportunity to help them improve,” said Hedges.